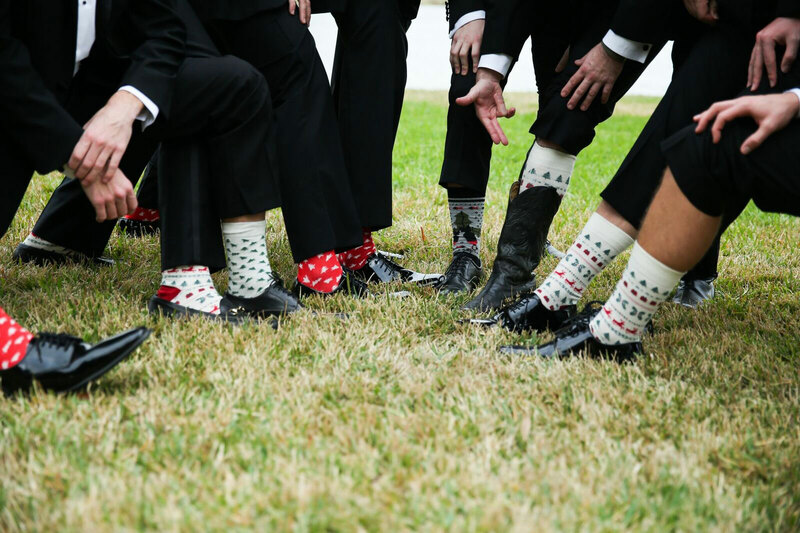 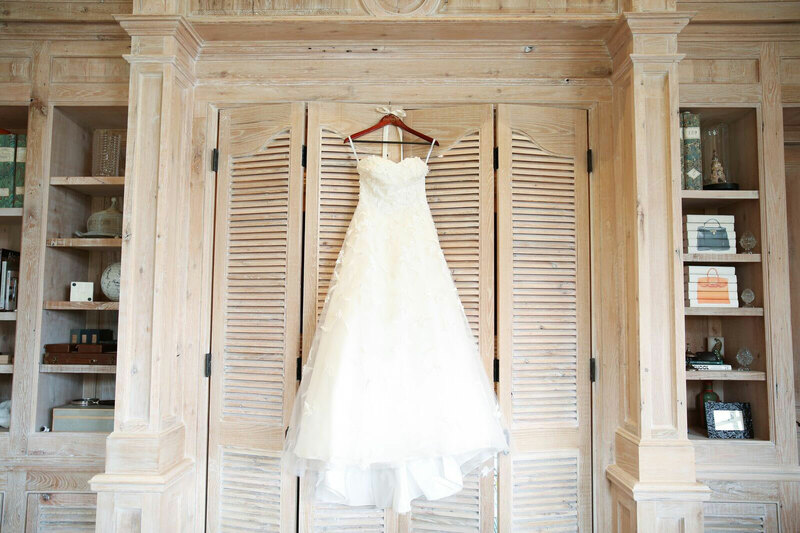 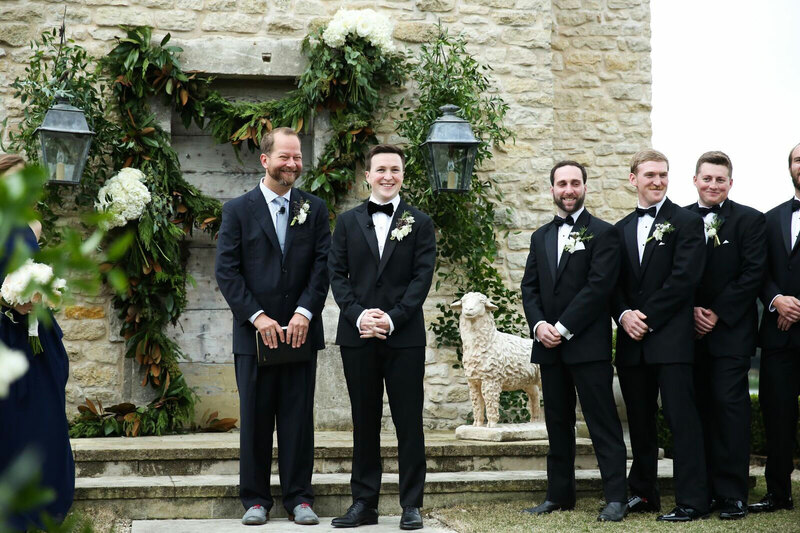 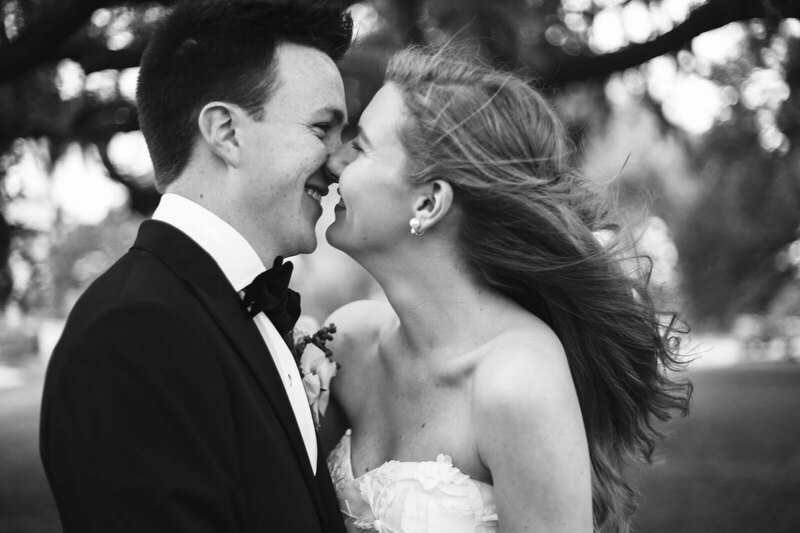 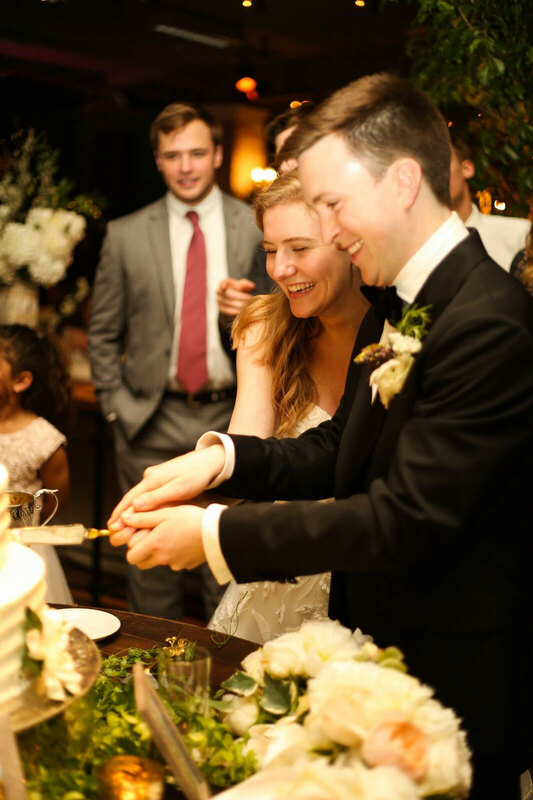 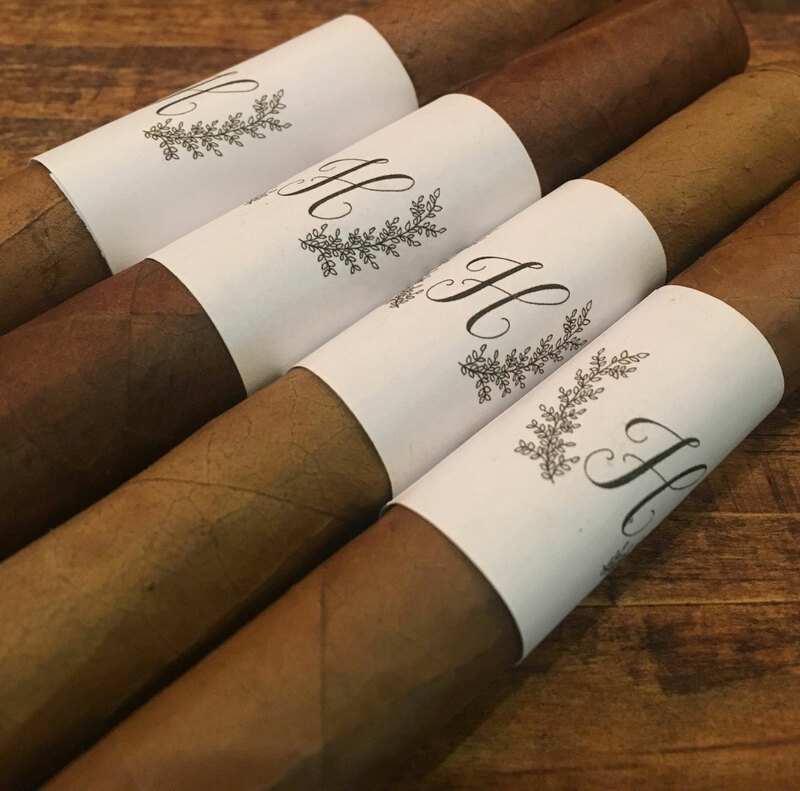 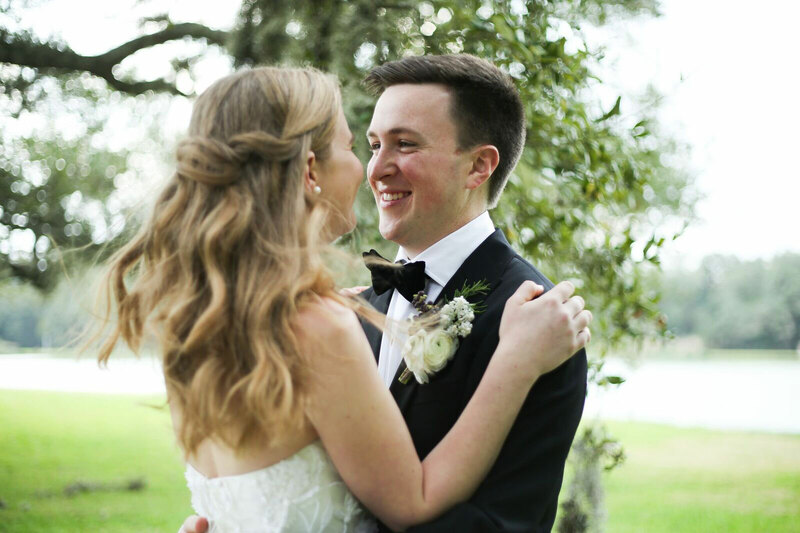 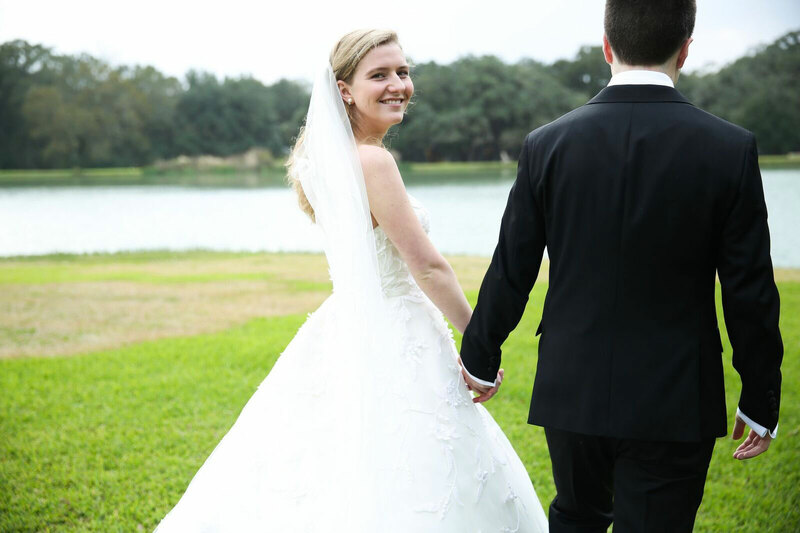 On an unseasonably warm, windy day in December at a luxury countryside club, Swift + Company celebrated the marriage of two college sweethearts, Madeleine Moorhead and Aaron Haynes. 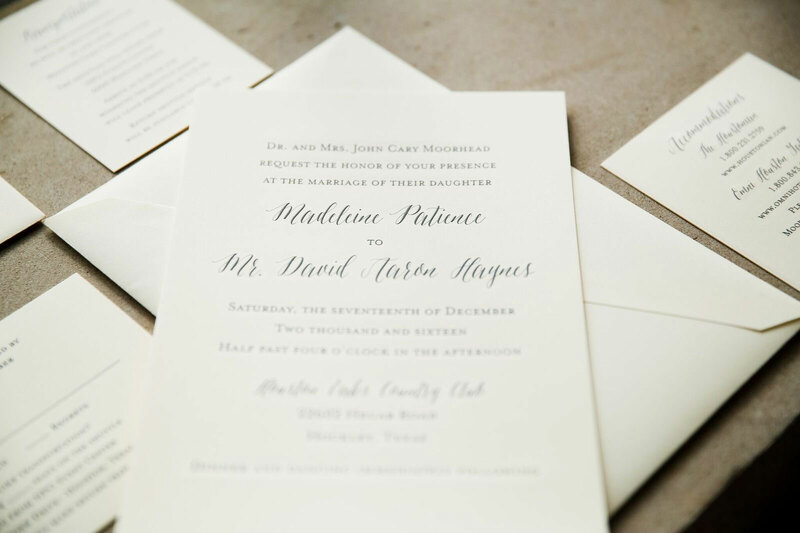 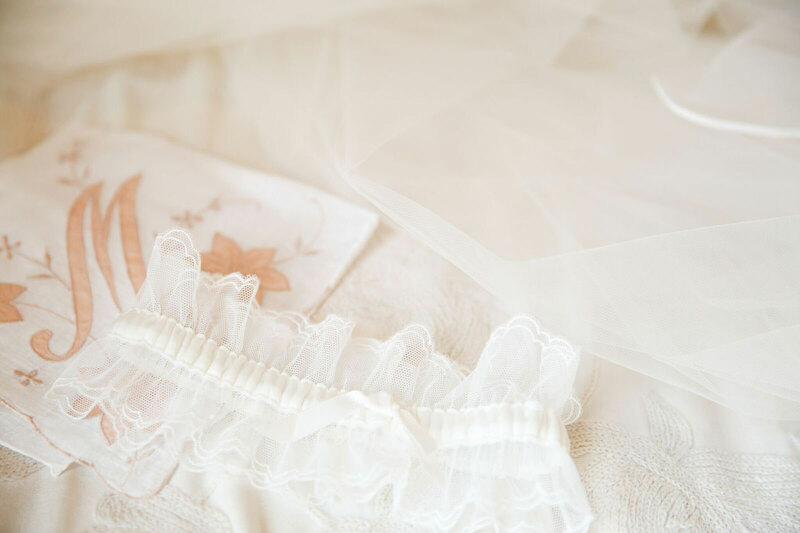 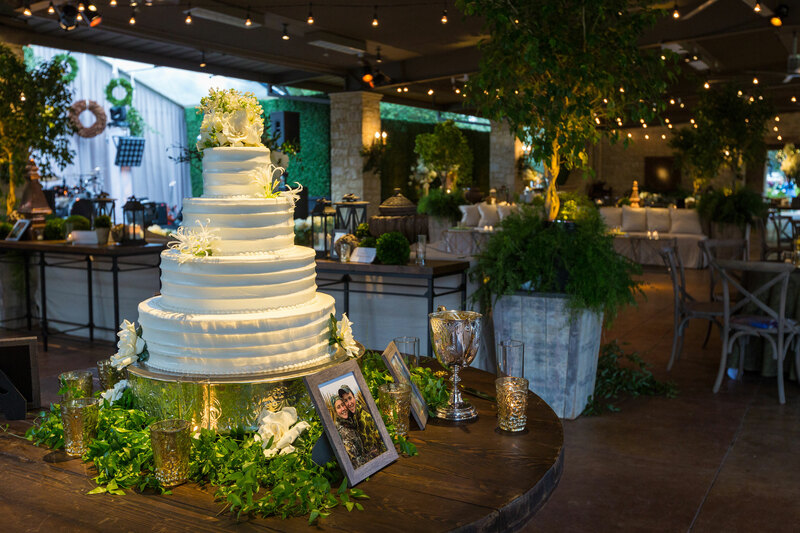 Not only did this mark the launch of a new beginning for the loving couple, but also a dream realized for Swift + Company — conceptualizing and producing its first full-service, fully planned and executed wedding. 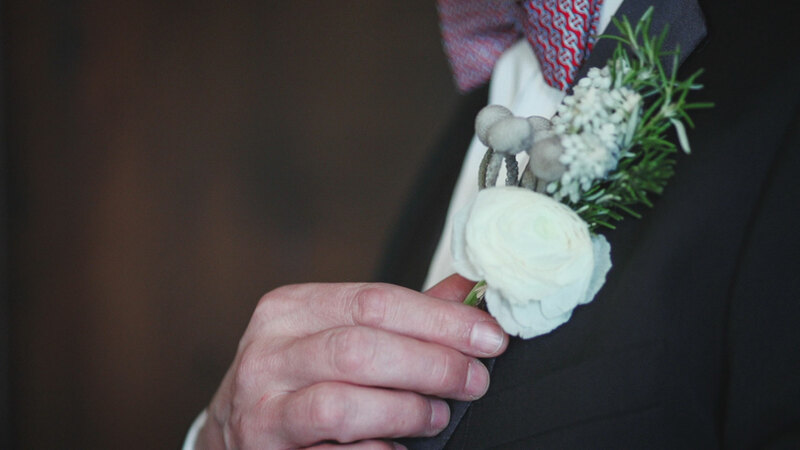 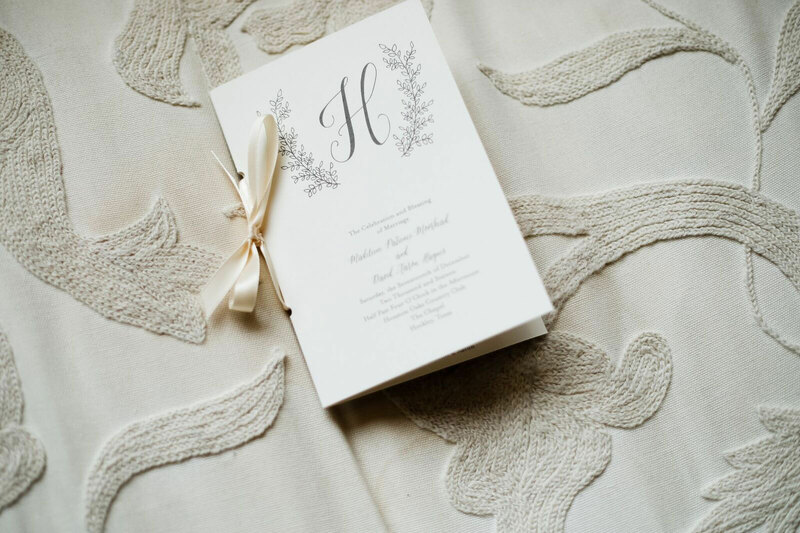 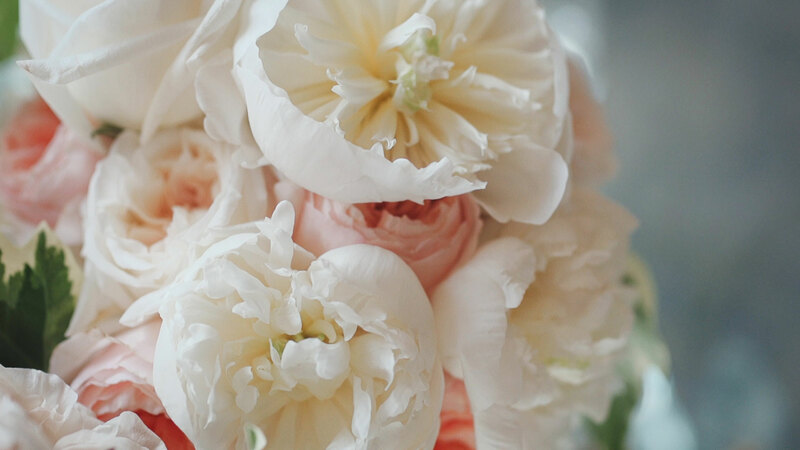 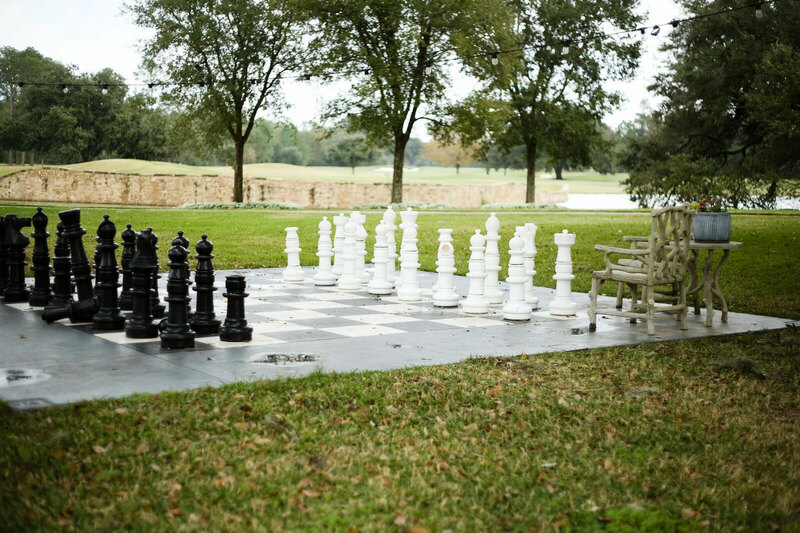 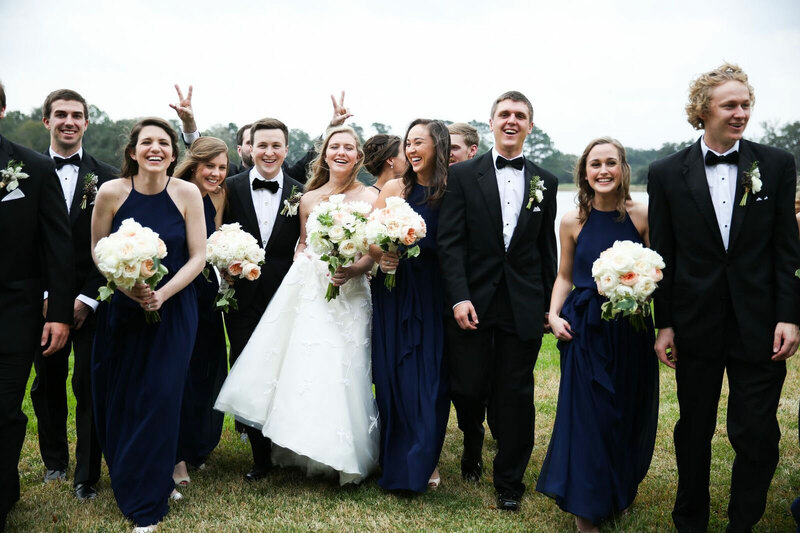 Known as a creative force in event production and catering, Elizabeth Swift Copeland, owner of Swift + Company in Houston, TX, knew the last component of production missing from her full-service company was wedding coordination — designing the most important day for engaged couples from start to finish. 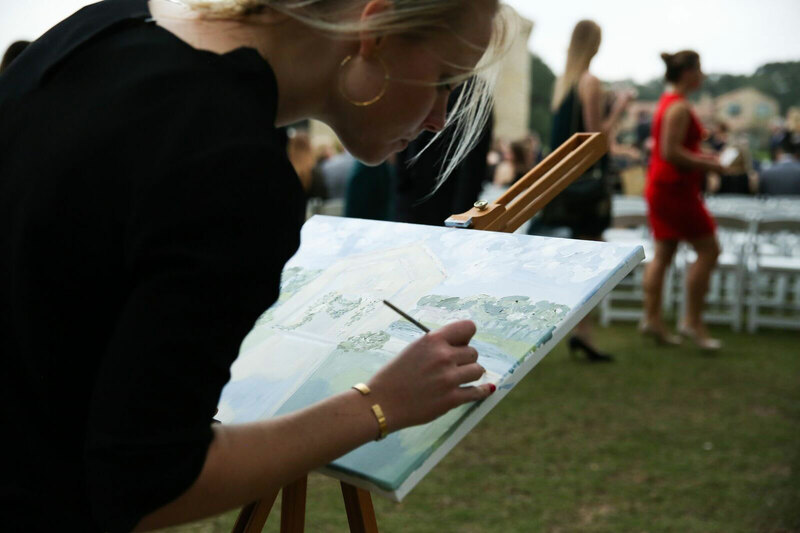 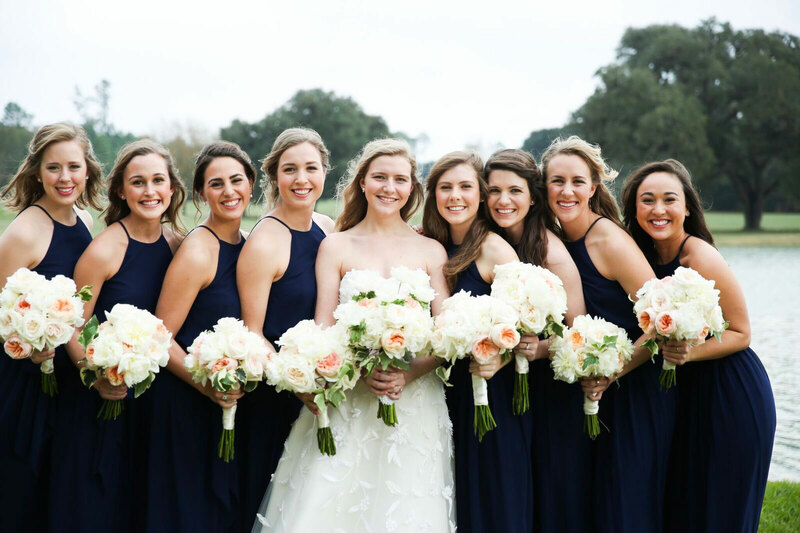 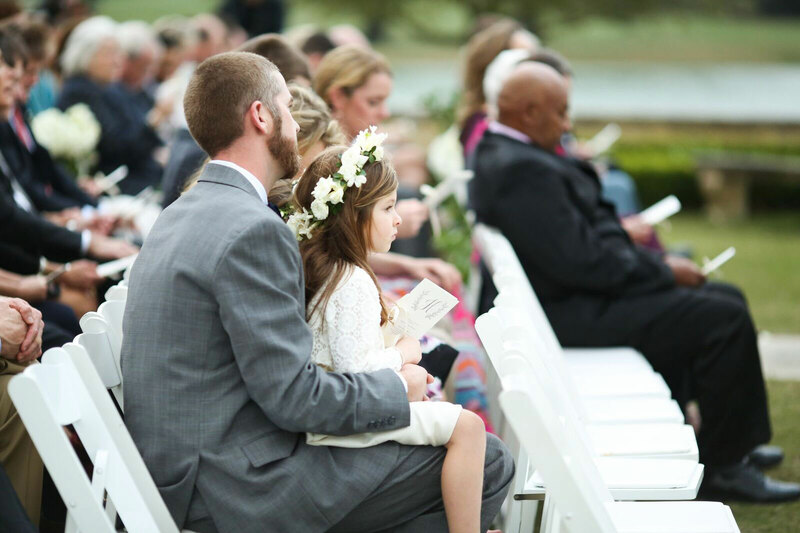 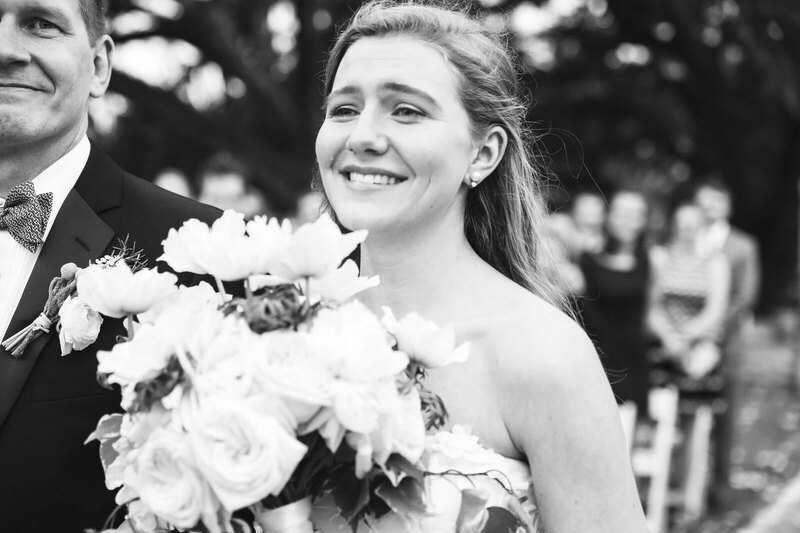 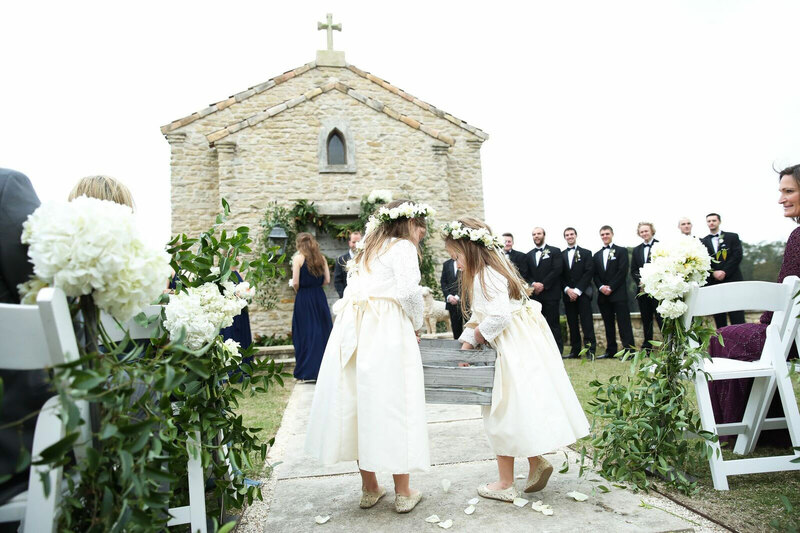 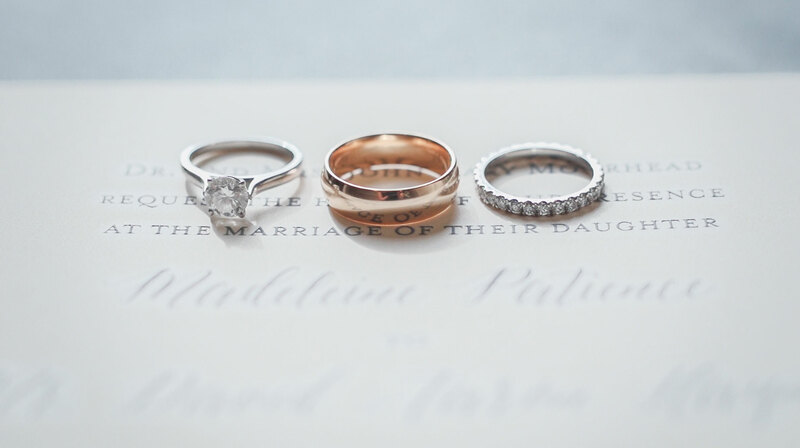 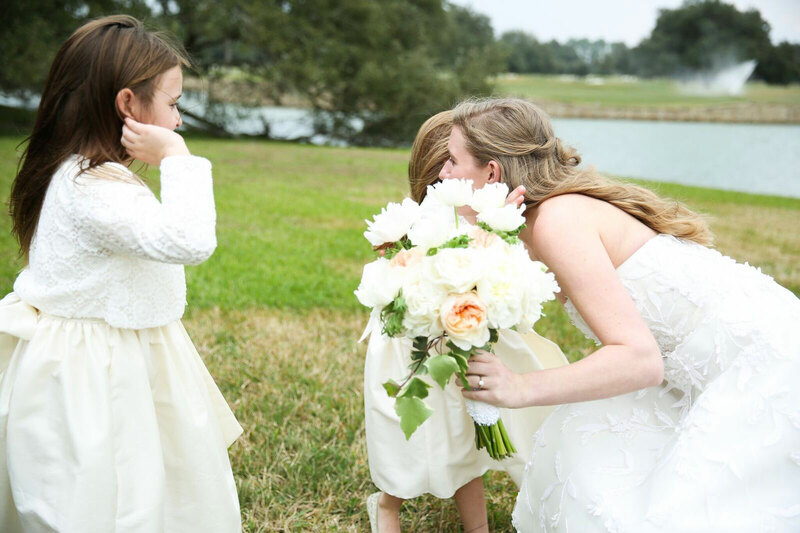 The timing was all too perfect as one of Elizabeth’s longtime friend had just celebrated her daughter Madeleine’s engagement to her long-time beau Aaron — and thus, the stars aligned. 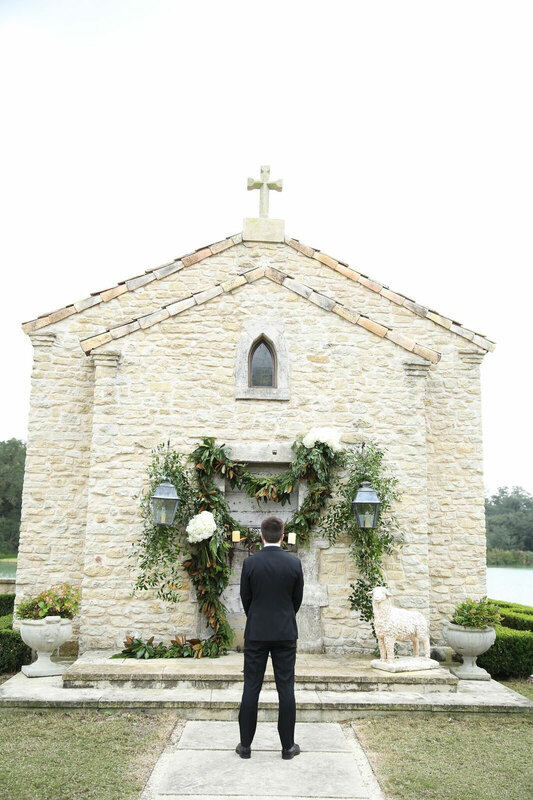 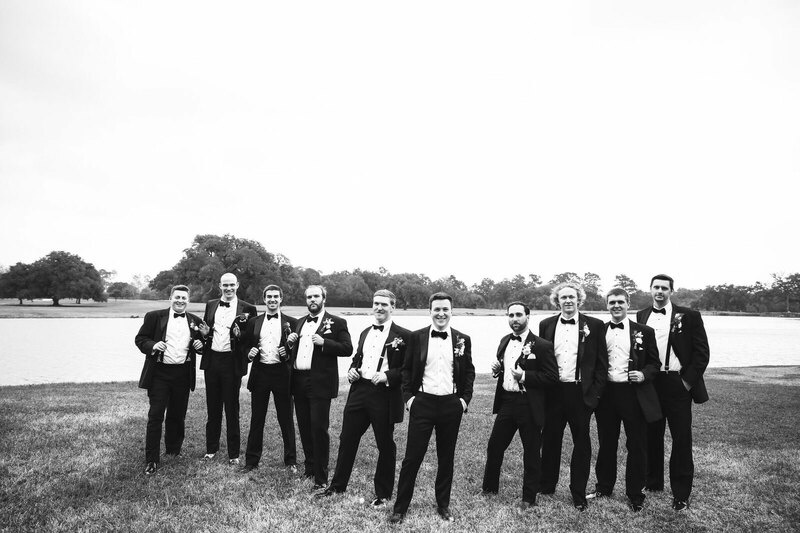 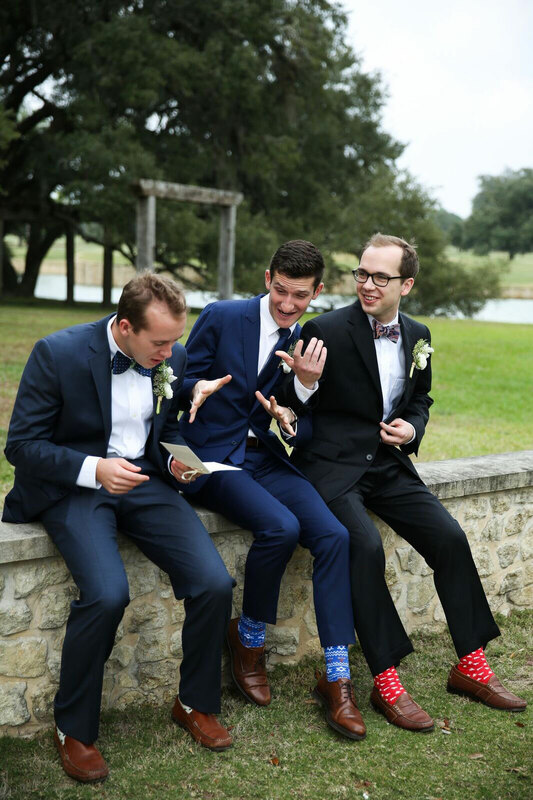 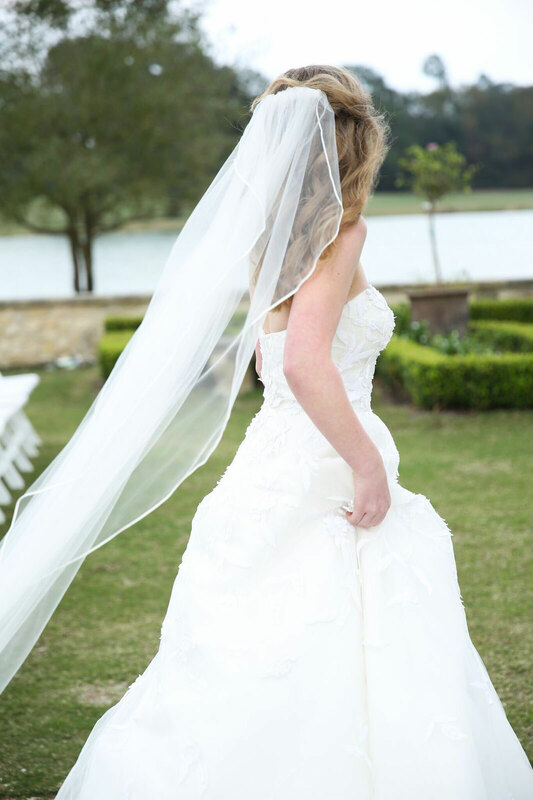 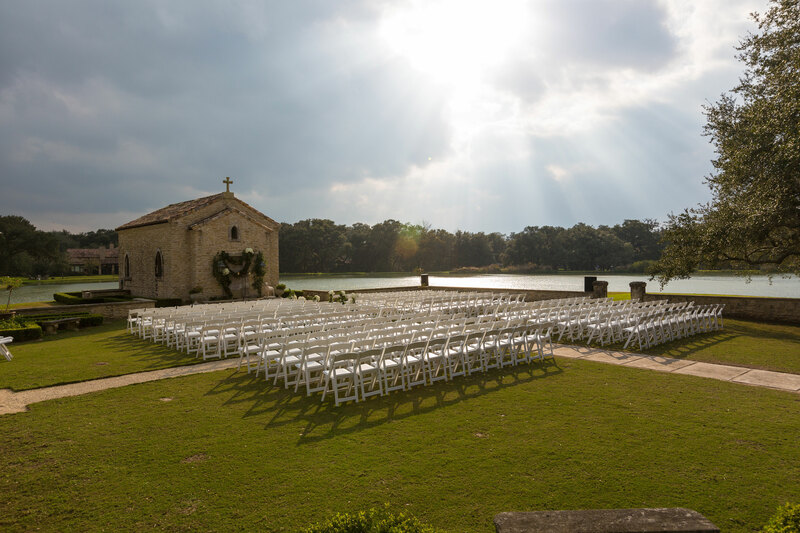 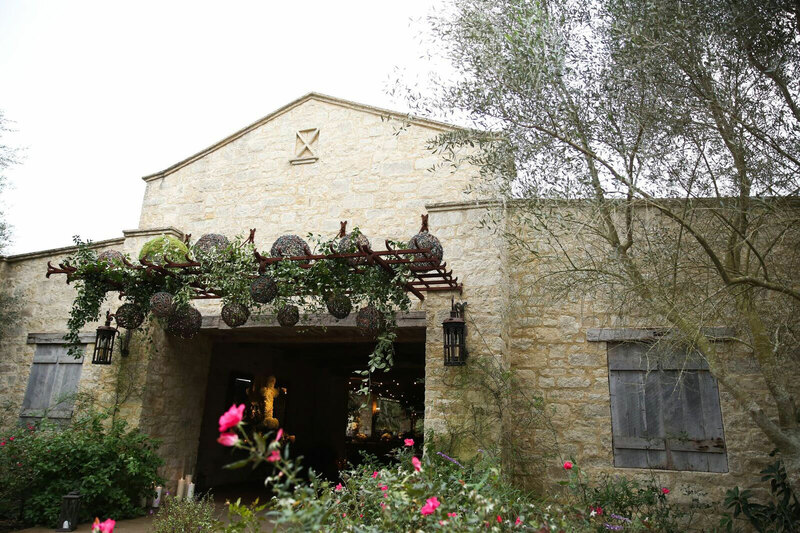 During one of the first meetings, Madeleine indicated that an integral part of her wedding idea was that she married Aaron outside in front of the chapel on the grounds of the club. 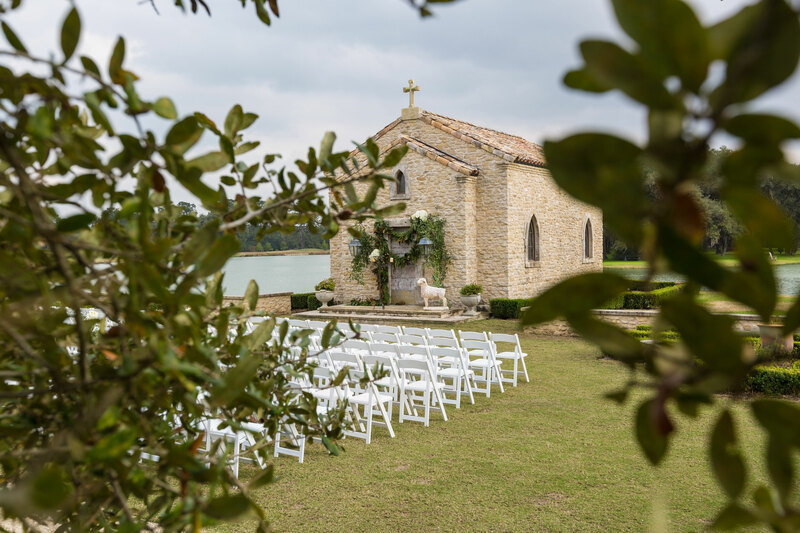 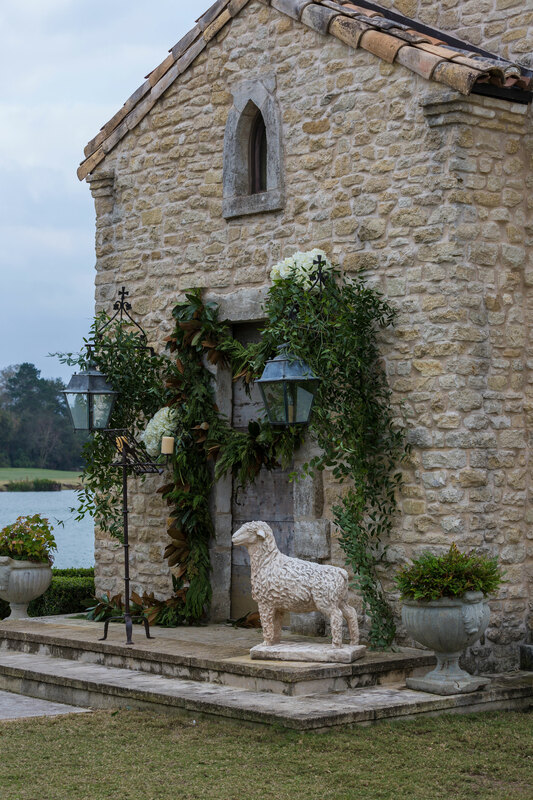 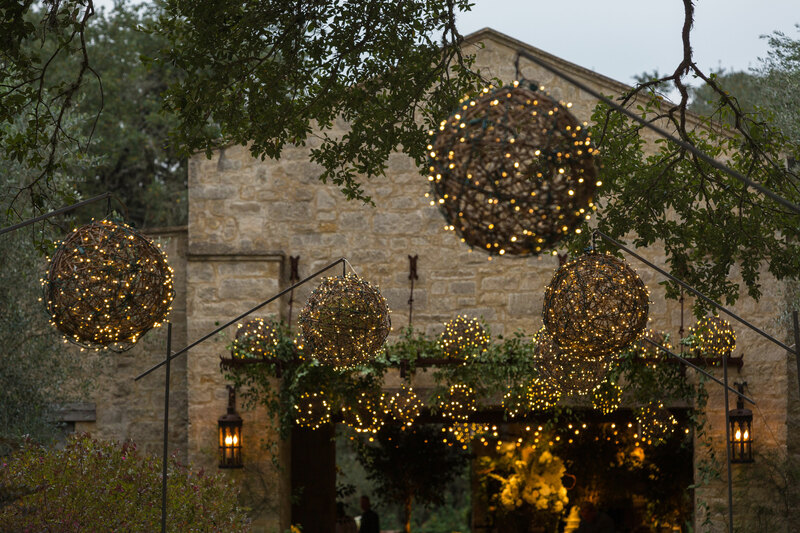 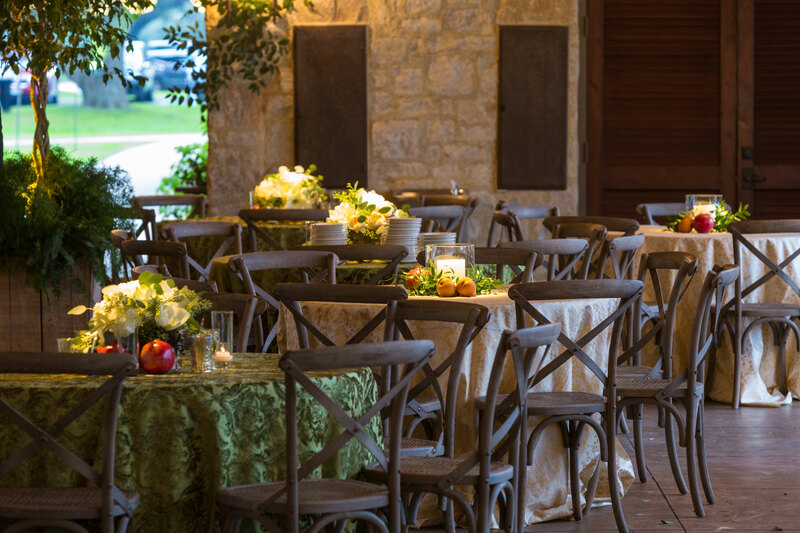 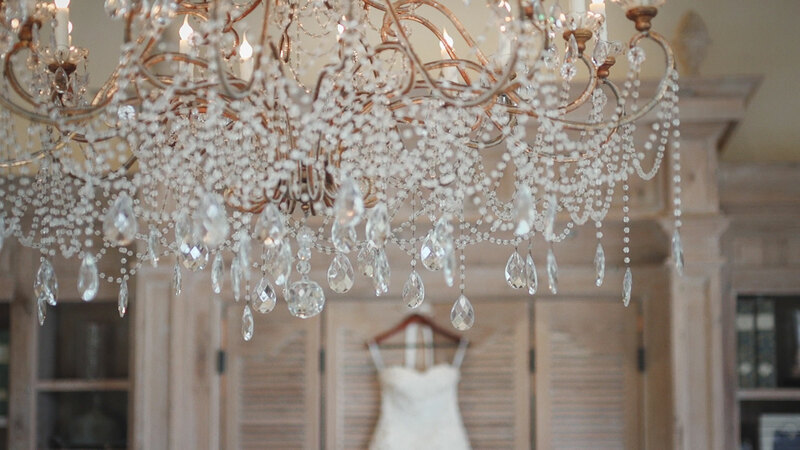 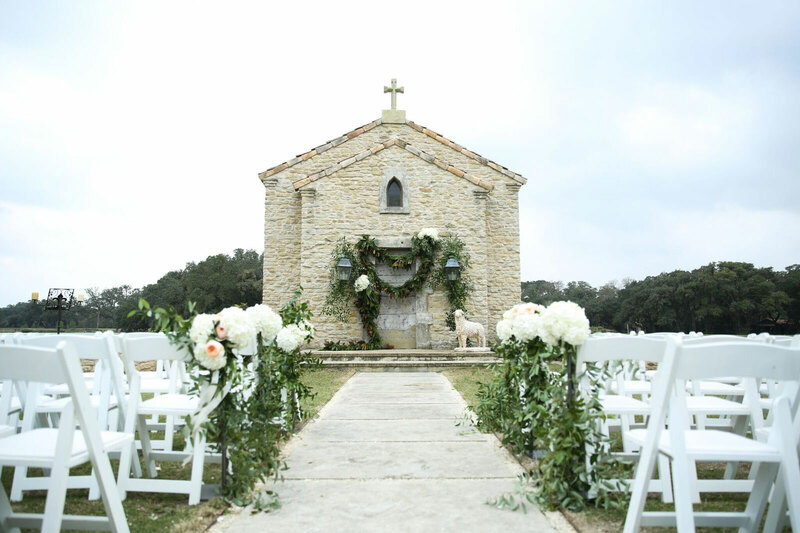 Set against the gorgeous backdrop of The Clubs at Houston Oaks surroundings, the Swift team was inspired to incorporate organic elements to create an elegant yet lush wintery feel that would complement the pristine chapel. 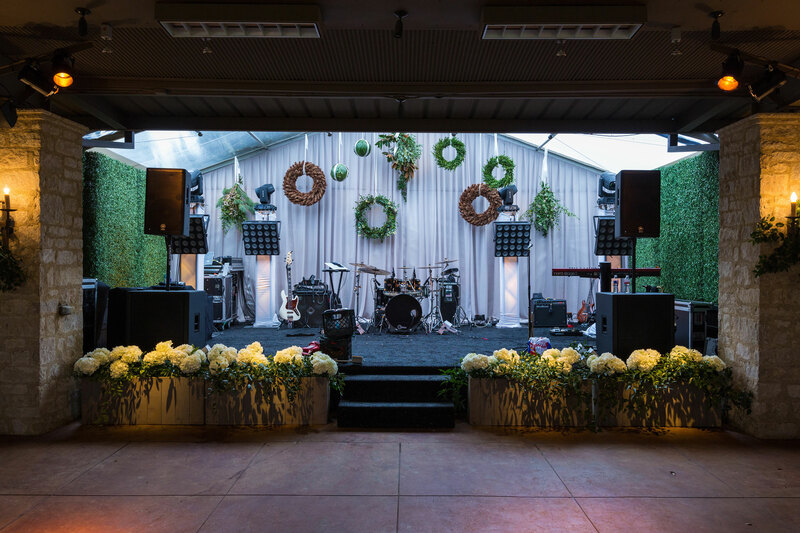 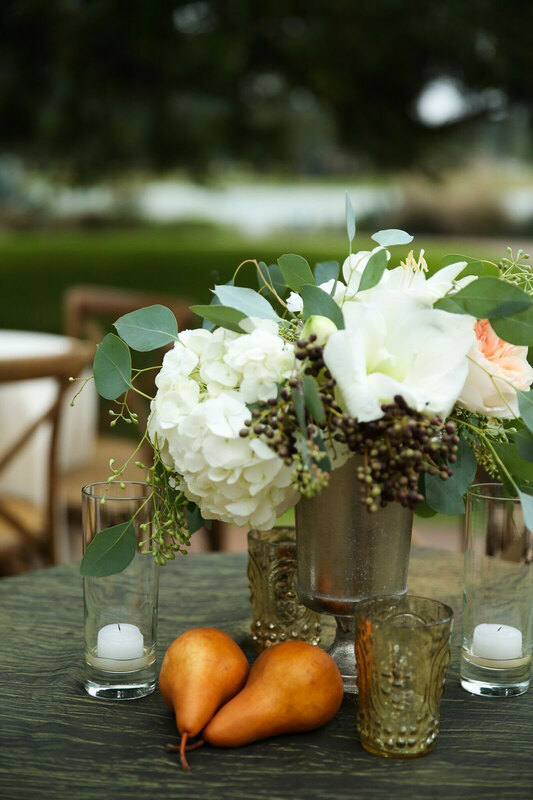 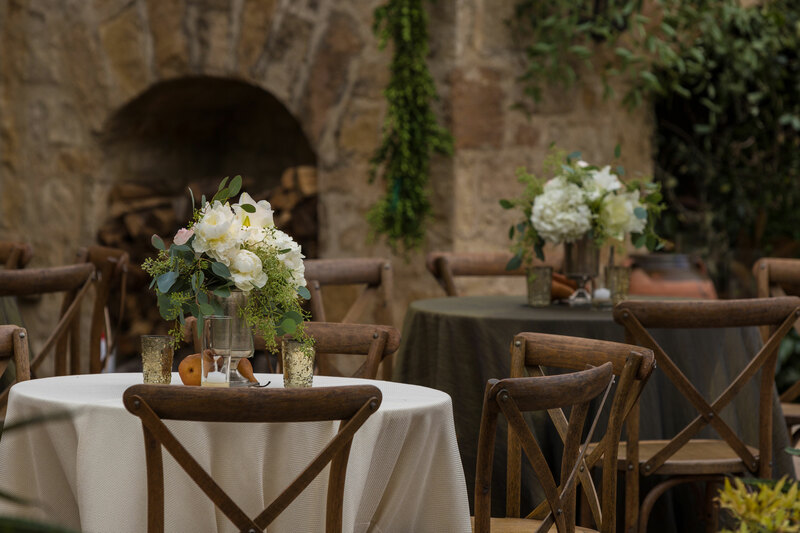 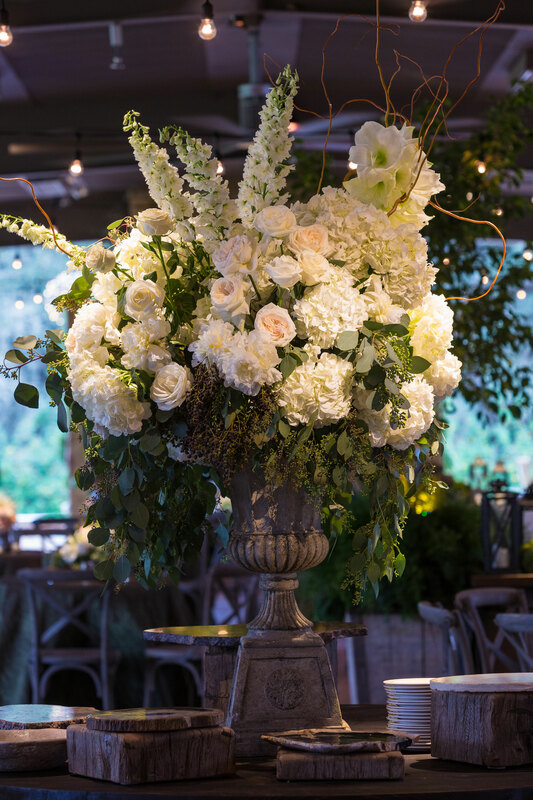 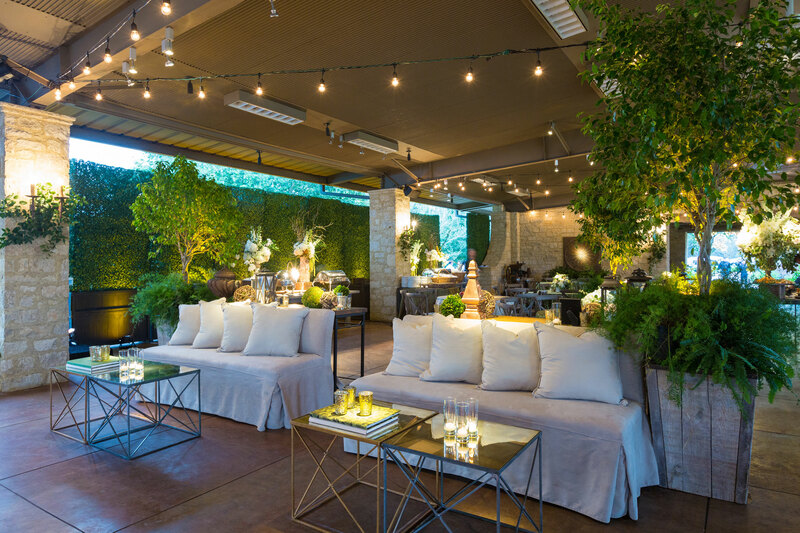 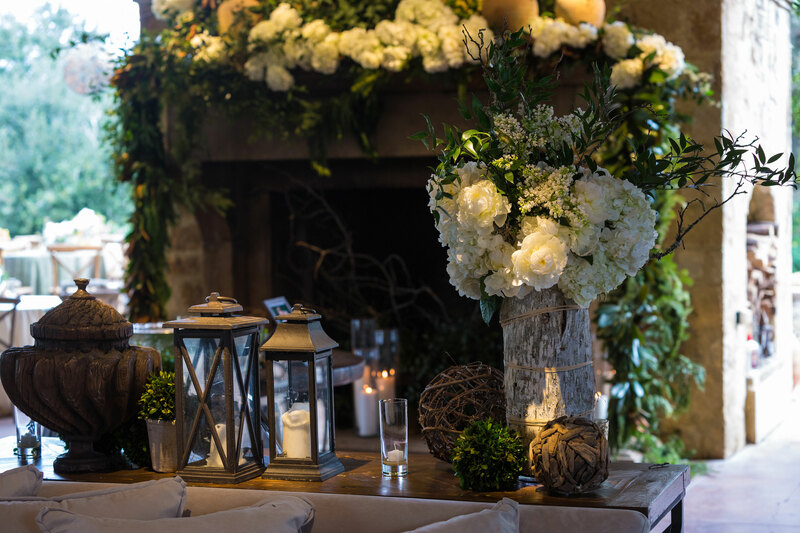 Designed with keen detail in mind, Swift + Company designers blended natural greenery with pallets of faint white and blush florals, creating a wedding reception that boasted a romantic atmosphere, serving as an ideal backdrop for the evening’s festivities. 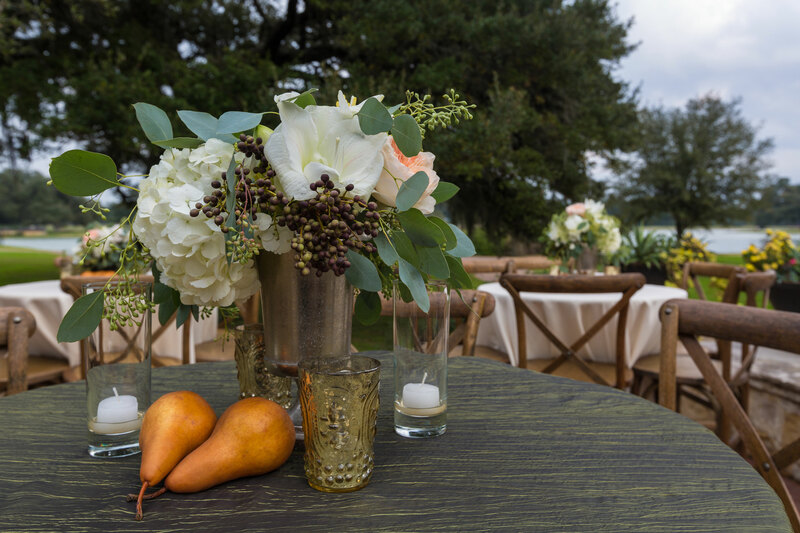 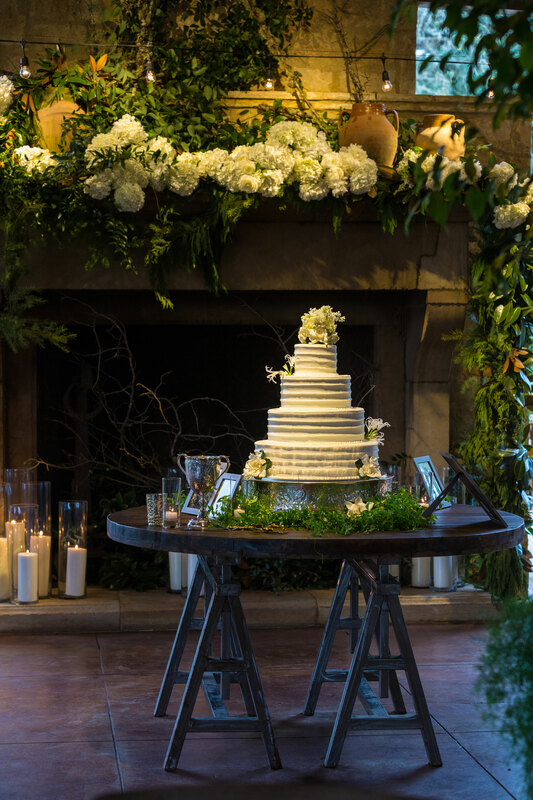 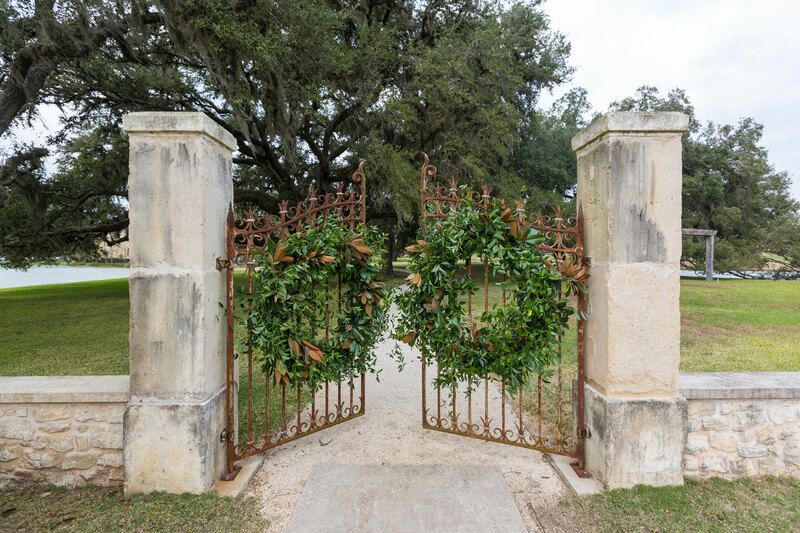 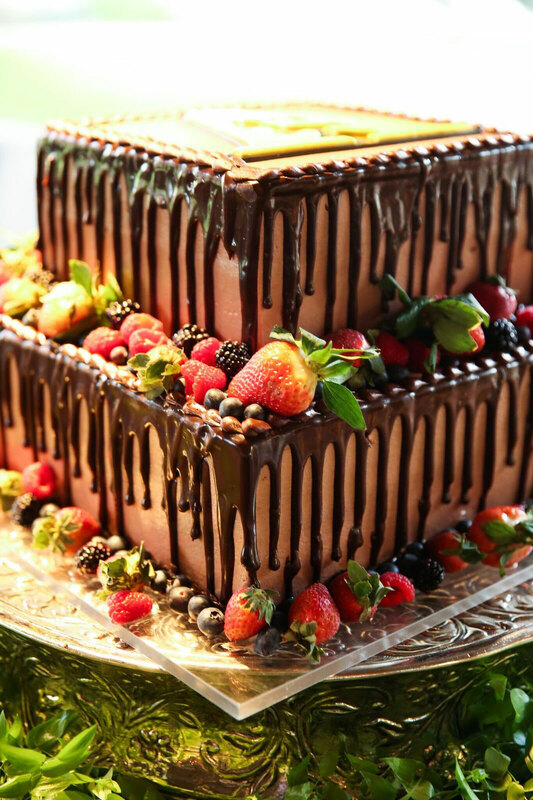 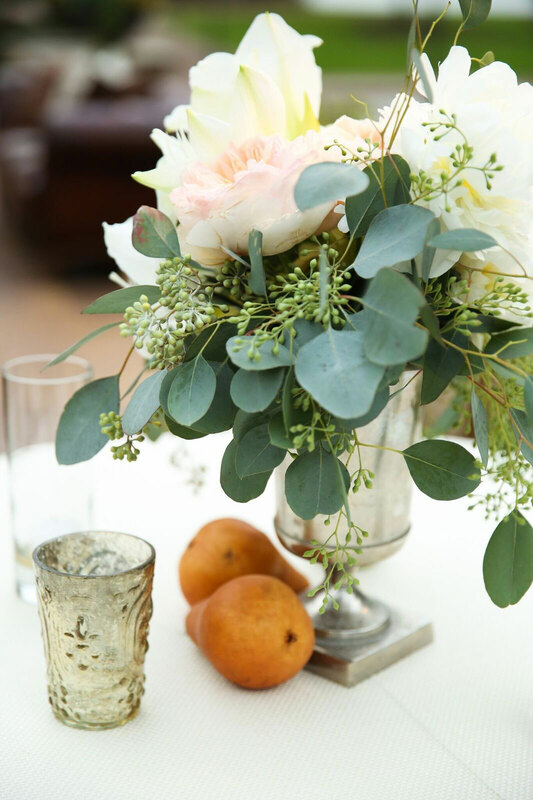 They incorporated hints of seeded eucalyptus, smilax, magnolia and laurel wreaths accented by pomegranates and winter pears to accentuate Madeleine’s vision for a seasonal celebration. 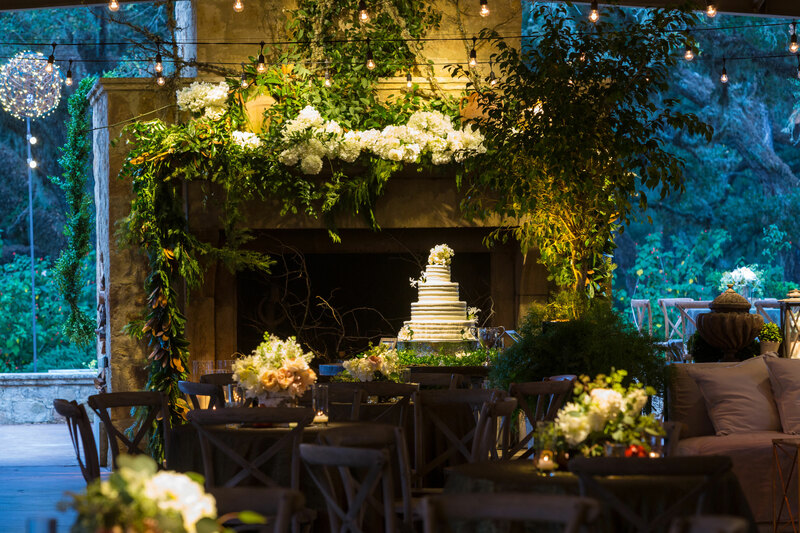 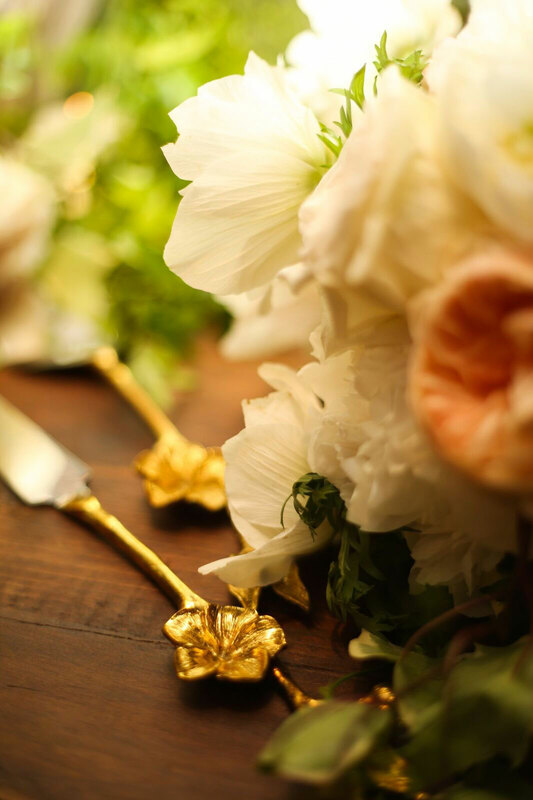 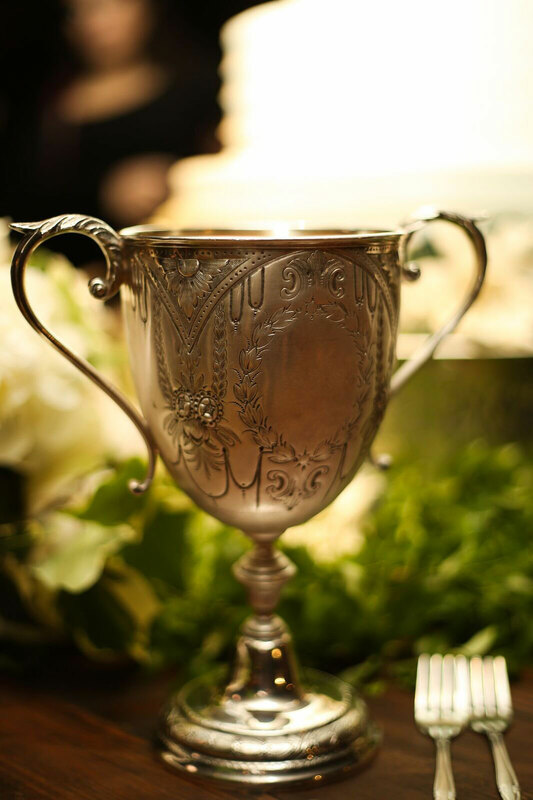 Tables were skirted with moss-colored velvet and natural jute linens, accented with gold primrose and berries reminiscent of Madeleine’s Oscar de la Renta gown. 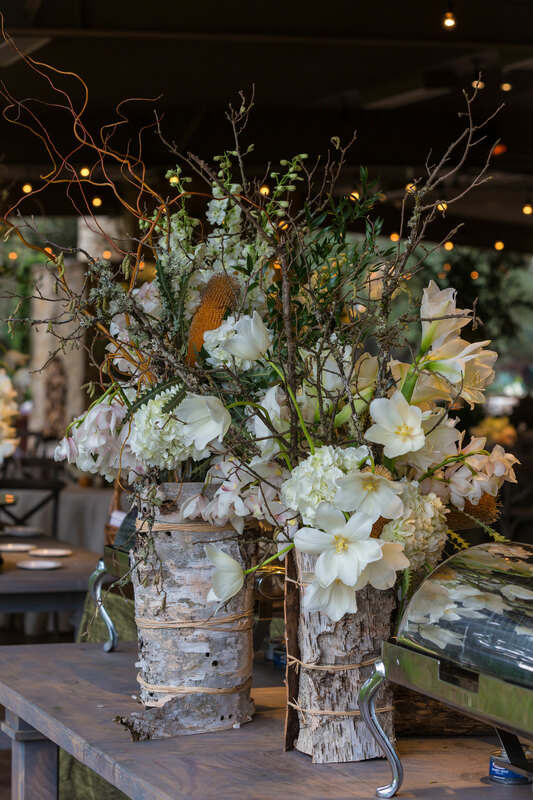 Additional birch-wrapped floral arrangements, boxwood hedges, hydrangeas and apricots designed by Swift + Company were strategically placed throughout the room. 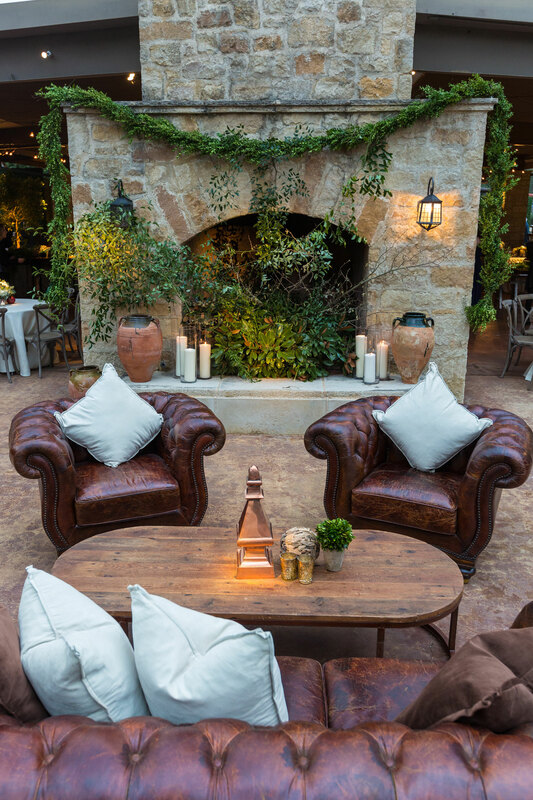 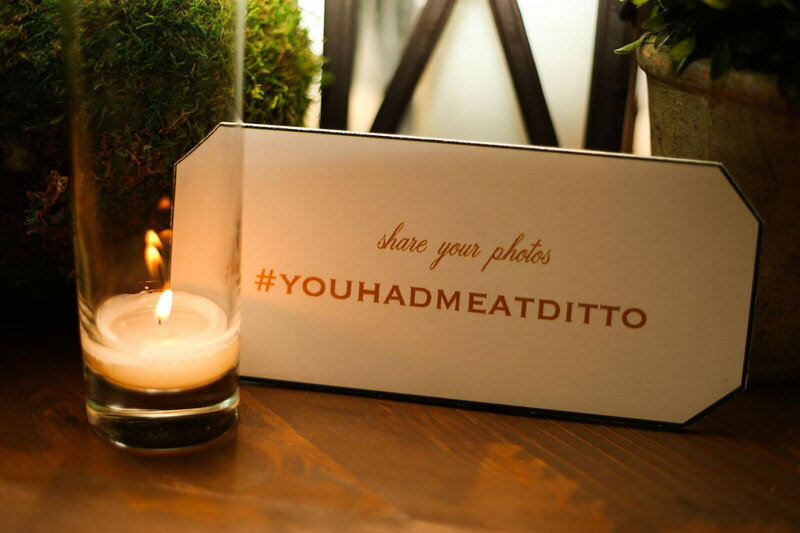 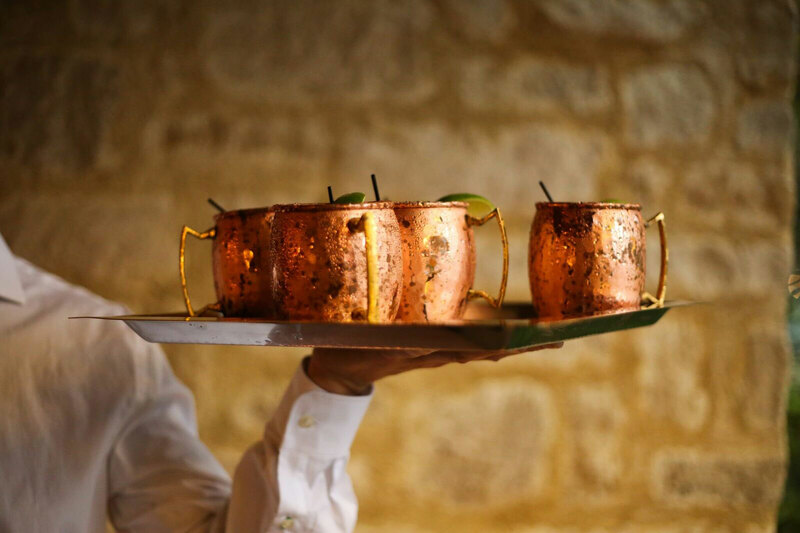 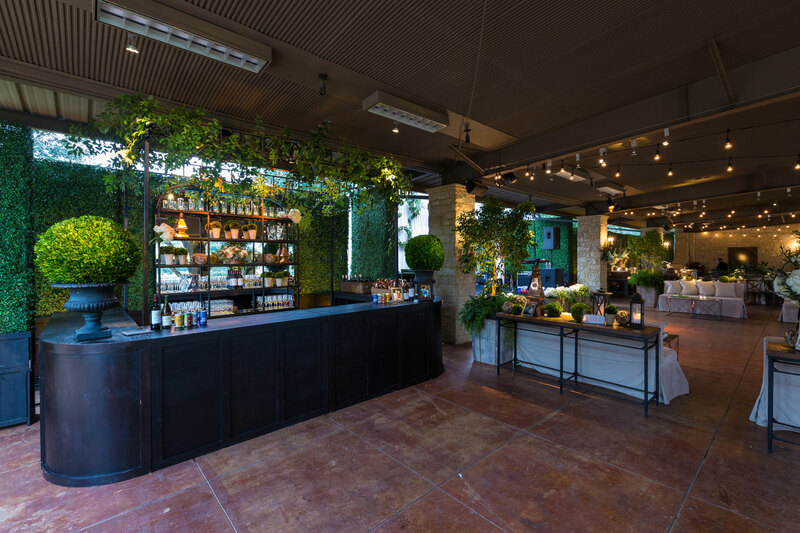 Alit by grapevine globe fixtures, guests were welcomed into the venue where they sipped on Moscow Mules in copper mugs and dined on charcuterie. 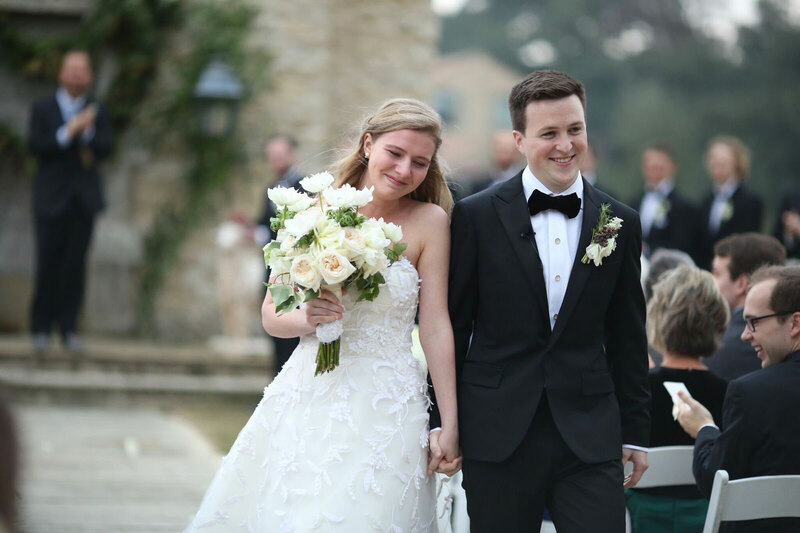 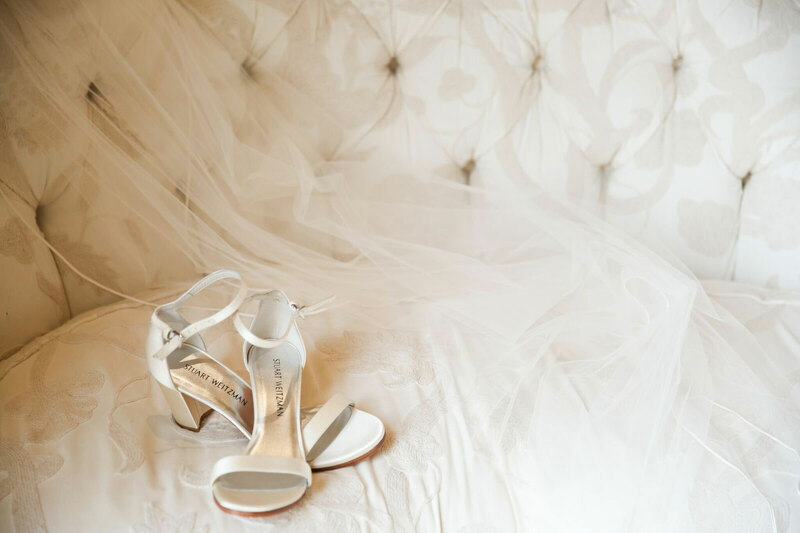 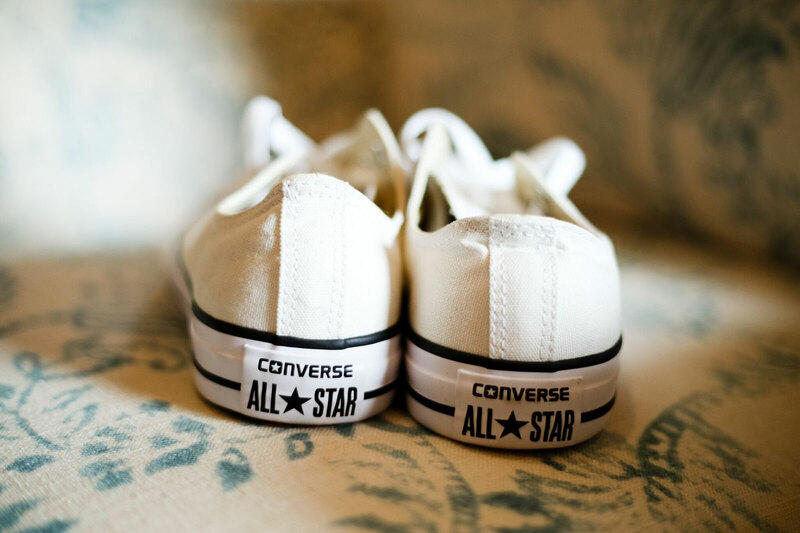 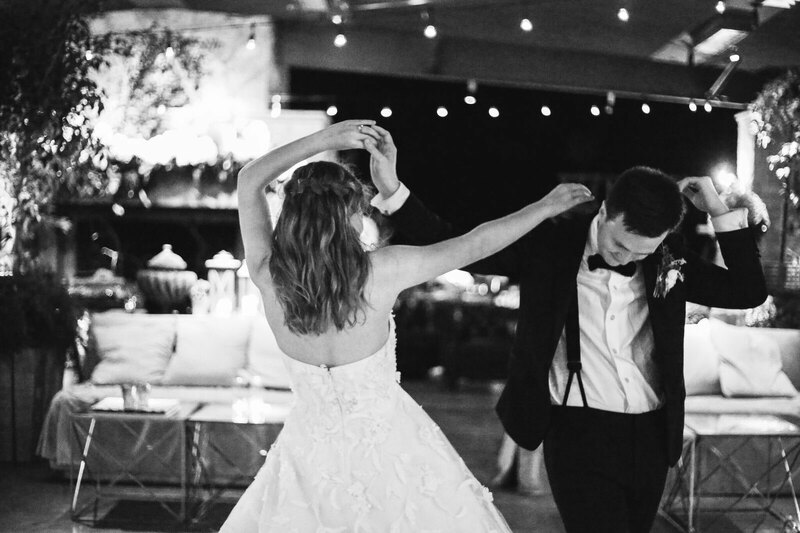 Ditching her Stuart Weitzman wedding shoes and donning her all-white Converse sneakers, Madeleine took the dance floor for her first dance with Aaron, swaying to “Dancing In The Moonlight” while surrounded by 315 of their closest friends and family members. 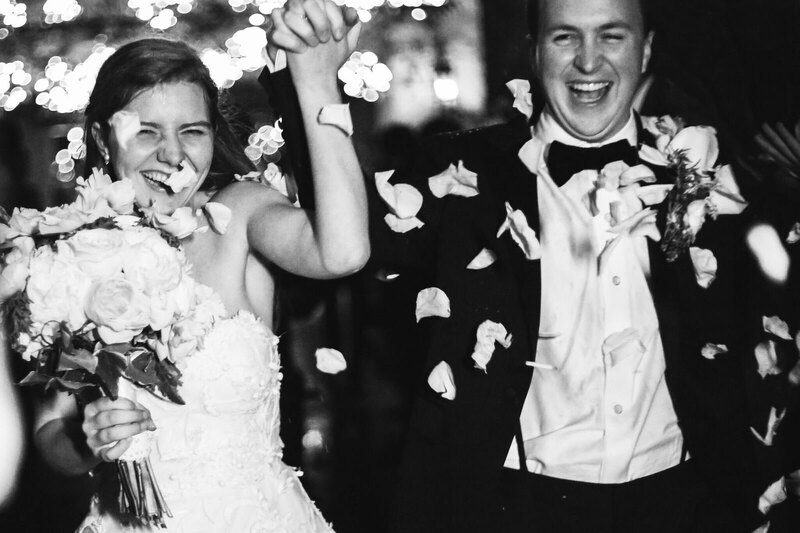 As the bride and groom prepared to depart the reception, rain began to fall, the temperature dropped to around 55 degrees, and Madeleine and Aaron returned to the dance floor to share a private last dance to “Marry Me.” Following their final whirl around the dance floor, guests bid adieu to the glowing couple as they showered them with rose petals in the soft rain.